Last revised: AGM, June 2015. 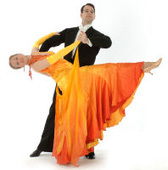 The aim of Cambridge Dancers' Club (CDC) is to promote dancing in Cambridge. Membership of the CDC shall be open to any member of Cambridge University, a Cambridge College, or any permanent or temporary resident of Cambridge or the surrounding district. In exceptional circumstances, committee reserves the right to refuse or revoke membership. A motion to revoke membership will require two thirds of the Committee present in favour of the motion. The club is a non-profit making organisation. All profit and surpluses will be used for the benefit of the club. No profit or surplus will be distributed other than to another non-profit-making body or to members on winding up or dissolution of the club. The club shall be registered as a University society with the Societies Syndicate of the University of Cambridge. All members shall be ordinary members. No employee of the Club may be an ordinary member. As many non-executive Committee members as are deemed necessary by the President to run CDC. The Committee shall delegate one committee member the responsibility for organising the maintenance of the CDC electrical equipment (subject to Section 2g), and this committee member shall be given the title 'Equipment Officer'. The term 'Team Captain' shall apply to all the Team Captains with reference to their respective Teams. President, Vice President (Classes), Vice President (Events), Treasurer, Secretary, Publicity Officer, Dancesport Team Captain, and Rock 'n' Roll Team Captain shall be mutually exclusive offices. Each Vice President or Team Captain post may be held either individually or jointly by two people. For the purposes of 2g, each executive post shall have a single vote, regardless of whether the post is held individually or jointly. No other executive post may be held jointly. The President, or deputy appointed by the Committee, shall act as Chairperson, at all Committee meetings, at the Annual General Meeting (AGM), and at any Extraordinary Meeting (EGM). The President shall retain overall responsibility for the club and its administration. The President shall have the authority to make a major policy decision only with the prior approval of the majority of the total Executive Committee, except where this is impossible. The Secretary, and any assistants appointed by the Committee, shall assist the President in the administration of the Committee and its affairs. providing accurate advice to the Committee regarding the Club's financial position. appoint a Team Committee at their discretion, including a Team Treasurer, to assist in running their Team. The Vice President (Events) and any assistants appointed by the Committee shall co-ordinate CDC Events according to the Committee's directions. 'CDC Events' shall be defined as activities of the CDC which do not include Classes or General Dancing. The Vice President (Classes) and any assistants appointed by the committee shall co-ordinate CDC Classes and General Dancing according to the Committee's directions. 'CDC Classes and General Dancing' shall be defined as activities of the CDC which do not include Events. The Publicity Officer, and any assistants appointed by the committee, shall be responsible for the co-ordination of the production and distribution of publicity material for the CDC (subject to Section 2g). The AGM shall be held each year during the Easter Term of Cambridge University. All members are entitled to attend the AGM. The quorum of the AGM shall be the integer part of the square root of the current number of ordinary members. Any other business shall be conducted. Nominations for members of the Committee shall be both proposed and seconded by members of the CDC. No member may propose more than three persons to the Committee. All nominees must have agreed to their nomination. The closing date for nominations to any Executive post shall be seven days prior to the election. The closing date for nominations to a non-Executive Committee position shall be twenty four hours prior to the election. If no candidate has come forward for a post then this condition shall be waived for that post. Each member, except the Chairperson, may cast one vote by secret ballot, which shall be counted by single transferable vote, for each Executive position. In the event of a tie, the Chairperson shall have the option of one casting vote. Elected Committee members shall assume their posts as from the end of the AGM at which they are elected. The quorum of the Committee shall be the integer part of one third of the total Committee. The Committee shall meet at its own discretion. The conduct of the Committee meetings shall be at the discretion of the Chairperson. Each Committee member, except the Chairperson, shall have one vote at Committee meetings, and a decision shall be carried by a majority vote (as defined in Section 14), except where stated otherwise in this Constitution. In order to register this vote, the member must be present at the meeting when the vote is called. In the event of a tie, the Chairperson shall have a casting vote. At a Committee meeting, a challenge to a post on the Executive must have at least two thirds of the total Committee present in favour of the motion. Following a successful challenge to any of these offices, an EGM must be called, in accordance with Section 7b. A Committee member may be expelled from the Committee provided that at least two thirds of the total Committee present are in favour of the motion. An ordinary member may, if he/she is willing, be co-opted onto the Committee provided that at least two thirds of the total Committee present are in favour of the motion. If no such majority is obtainable, an EGM may be called in accordance with Section 7b. In the event of a member of the Executive resigning, a Committee member may be co-opted into the vacant position provided that at least two thirds of the total Committee present are in favour of the motion. If no such majority is obtained an EGM shall be called in accordance with Section 7b. At an EGM or an AGM, each ordinary member, except the Chairperson, shall have one vote. In order to register this vote the member must be present at the meeting when the vote is called. A decision shall be carried by a majority vote (as defined in Section 14), except where 11(b) applies. In the event of a tie, the Chairperson shall have a casting vote, except where stated otherwise in this Constitution. Sections 3b, 3d, 3f and 3g (with the words EGM substituted for the words AGM) must be adhered to at any EGM. At least two week's prior notice to an AGM shall be given. At least one week's prior notice to an EGM shall be given. Notice of any Committee meeting shall be given at least one week in advance unless all Committee members agree otherwise. The CDC shall maintain a bank account. Cheques drawn on this account for up to and including £1,500 shall require the authority of either the President or the Treasurer. Cheques for £1,500 or more shall require the authority of any two of the Treasurer, the President and the Secretary. Cheques drawn on the CUDT account for up to and including £1,500 shall require the authority of either the CUDT Captain or the CUDT Treasurer. Cheques for £1,500 or more shall require the authority of both the CUDT Captain and the CUDT Treasurer. Cheques on any other account of the CDC shall require two signatures, at least one of which must be a member of the Executive Committee. All signatories must be members of the Committee and be explicitly approved by the Treasurer. The financial year of the CDC shall end on the 30th September. The CDC shall have a Senior Treasurer in accordance with the University regulations. Any change in Senior Treasurer must be approved by majority vote at a quorate General Meeting. The Senior Treasurer may be removed from office by a two-thirds majority vote at a quorate General Meeting. The accounts of the CDC shall be audited by the Senior Treasurer, a resident member of the Senate of Cambridge University or a professional accountant. No member of CDC or its Senior Treasurer shall be individually liable for any debt or other obligation of CDC which is properly incurred or entered into on behalf of CDC. Membership fees for the CDC shall be at the discretion of the Committee. Charges at meetings of the CDC shall be at the discretion of the Committee. The Committee shall arrange to provide weekly Classes at which tuition will be available, Events of a dancing and/or social nature, and General Dancing to the members of the CDC during University Full Terms. The nature of such Classes, General Dancing and Events shall be determined by the Committee and co-ordinated by the Vice President (Classes) and Vice President (Events) respectively (subject to Section 2k and 2l). CDC shall aim each year to send the Teams to represent the University at Inter-Varsity dancing competitions throughout the year. Any team member who has debts to CDC outstanding from previous terms shall not be permitted to represent the University at a competition. All team members must be members of CDC. Any alterations or additions to this Constitution must be presented at the AGM or EGM and voted upon. All ordinary members, except the Chairperson, shall have one vote, and the alteration or addition shall be incorporated provided that there is a majority vote (as defined in Section 14) in favour. Proposals for constitutional amendments shall be proposed and seconded by members of the CDC and submitted in writing to the Chairperson by one week in advance of an AGM, or three days in advance of an EGM; the Chairperson shall make them available to the membership. Constitutional amendments shall be presented at an AGM or EGM and voted upon. All ordinary members, except the Chairperson, shall have one vote, and the alteration or addition shall be incorporated provided at least two thirds of the members present vote in favour of the amendment. Any such amendment shall come under automatic review and revote at the following AGM. In the event of a tie, the Chairperson shall have the option of casting one vote, in favour of the status quo, where possible. A copy of the Constitution shall be available for reference by any ordinary member. Candidature for the post of team captain shall be restricted to current (as defined in Section 12c) and past members of that team. If no suitable candidate has come forward for the captaincy one week prior to the election, then this condition shall be waived. A Team Captain shall be elected between the division of the Lent Term and the AGM. Candidate nominations for Team Captain are subject to 3d, and shall be submitted to both the Chairperson and to the outgoing Team Captain no later than seven days before the election. It is the responsibility of the outgoing Team Captain to notify current team of the election and candidate nominations no less than five days before the election. It is the responsibility of the outgoing Team Captain to notify Committee of candidate nominations no less than five days before the election. The electorate shall be those who have been on the respective Team (as defined in Section 12c) and/or Committee for all or one of the preceding Michaelmas or Lent terms. In order to register this vote, the member must be present at the meeting when the vote is called, and at least one half of the current team should be present in order for the vote to be quorate. The current Team Captain shall give notice of such an election at the Committee meeting immediately preceding the election. Once selected, the candidate shall be presented at the AGM for approval as defined in Section 3cF. Team members shall be those who have represented Cambridge University in an Inter-University dancing competition for the relevant team in that academic year. Each member, except the Chairperson, may cast one vote by secret ballot, which shall be counted by single transferable vote, for the position of Team Captain. In the event of a tie, the Chairperson shall have the option of one casting vote. The outgoing Team Captain, or optionally for the Dancesport Team Captain election a deputy appointed by the CUDT Committee, shall act as Chairperson at the meeting where the vote is called. The Chairperson must be part of the electorate and must not appear among the candidate nominations. Major policy changes proposed by the President or Exec should be presented to the Committee for consideration (and if appropriate a formal vote), unless there is insufficient time to do so. In the latter case the decision taken should be reviewed by the Committee at the next opportunity. Decisions made by the current or by a previous Committee may not be reversed without a vote by the Committee, or AGM, or EGM, except in an emergency requiring action by the President before a Committee meeting could be called. A motion is carried if more people vote for it than against; a motion is not carried if more people vote against it than for it, except where stated otherwise. The club shall have a grievance procedure, through which any member may object to any decision made by the administration and force a review of that decision. A member shall not be disadvantaged in any way as a consequence of appealing a decision, unless that appeal had no realistic chance of success. A copy of the grievance procedure shall be available to any member. The grievance procedure and any changes to it must be approved by majority vote at a quorate General Meeting.